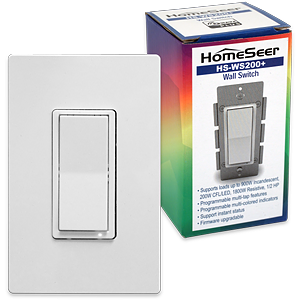 HomeSeer Z-Wave Dimmers, Switches & Companions are the most advanced designs available today! 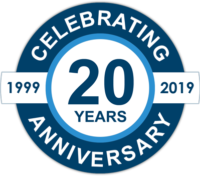 All products feature the latest 500 series Z-Wave modules and offer greater range, improved bandwidth, network wide inclusion and network self-healing features. 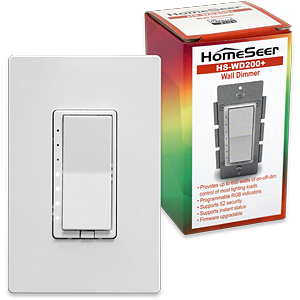 In addition, our wall dimmers and wall switches provide instant status feedback* with controlled manually and they may be used to launch HomeSeer events with double-tap*, triple-tap* and press & hold* operations. 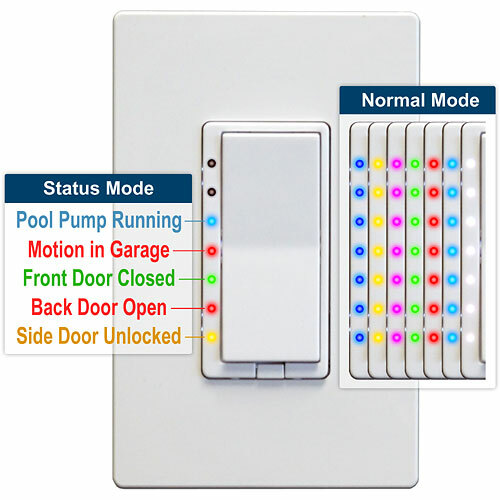 Our new smart home wall switches, dimmers and fan controllers have RGB LEDs that are designed to glow or blink different colors based on homeowner preference or when things happen in the home (or both). Once installed, HS-WD200+ works like any other paddle-style switch and will control on, off and dim functions for the attached lighting load. However, add it to any HomeSeer system and you’ll unleash these advanced features! In status mode, individual LEDs can be controlled to reflect the status of nearly anything in the home. For example, if it’s after midnight and the garage door was left open, the 3rd LED on all the bedroom dimmers can be programmed to glow yellow (or any color). If a smoke alarm goes off, all LEDS on all dimmers can blink red. If no status conditions are active, wall switches automatically return to normal mode. Once installed, HS-WS200+ works like any other paddle-style switch and will turn the attached load on or off. However, add it to any HomeSeer system and you’ll be able to trigger up to 14 different events! Once installed, HS-FC200+ works like any other multi-speed conventional fan controller. However, add it to any HomeSeer system and you’ll unleash these advanced features! HS-WA100+ is a wired (non-RF) 3-way wall companion switch that provides remote control of HomeSeer load controlling wall switches. HS-WA100+ is designed to be wired directly to the “traveler” wire of a lighting circuit. Press top or bottom of paddle multiple times – prompts appropriate load switch to trigger multiple different HomeSeer events. HS-WA100+ is NOT designed to control a load directly. 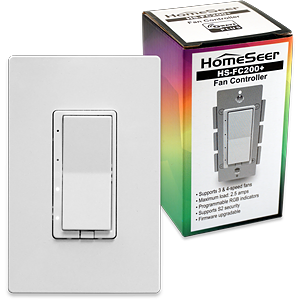 Instead, it functions as a wired remote control for all HomeSeer load switches (HS-WD200+ dimmers, HS-WS200+ switches and HS-FC200+ fan controllers). When wired in a 3-way, 4-way or 5-way circuit, it will activate the following features for the attached load switch. 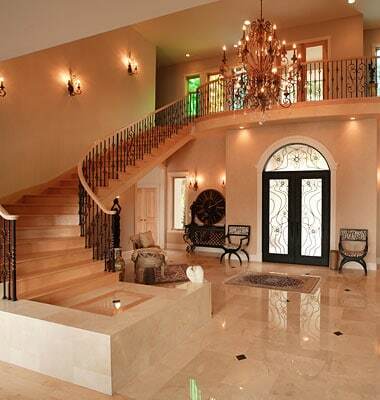 These switches are brilliant! The ability to set the individual colors status lights from events makes these lights the best! The multiple taping scene control puts it ahead of all others by its self alone. Best purchase in my home automation implementation.